The reason why some people procrastinate could be because of brain structure, a study has found. 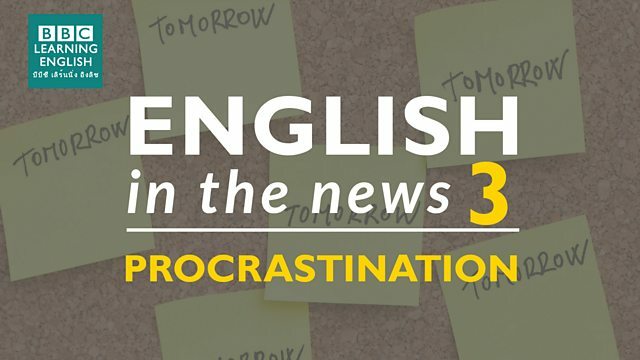 Join Sian and Clare to find out more about this story and to learn some great words for talking about people who procrastinate and people who don't. You need a phrasal verb which means 'delay doing something'. I'm going to ______ doing my assignment until tomorrow. One of these words to describe people is the opposite from the other two. 'Noggin' is a slang word for which body part? Lucas fell over and bumped his noggin! Which body part did he hurt?